318 pages | 49 B/W Illus. 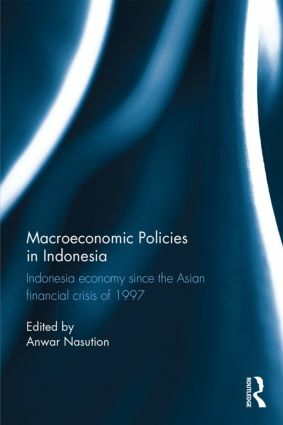 Anwar Nasution graduated from the Faculty of Economics, University of Indonesia, in 1968. He obtained a Master's degree in Public Administration from the Kennedy School of Government, Harvard University, in 1973, and a PhD in Economics from Tufts University in 1982. Anwar was a member of the International Policy Advisory Group (Shadow G-20) in 2013, under the Chairmanship of Professor Jeffrey Sachs of Columbia University, the Dean of the Faculty of Economics at the University of Indonesia (1988-2001) and the Sasakawa Distinguished Professor for the Chair in Development Economics at UNU/WIDER Institute in Helsinki, Finland. He was consultant to UN-ESCAP, UN-ECLAC, US-AID, ADB, the World Bank, IMF and MITI of Japan. He was a visiting research fellow at NBER in Cambridge, MA, USA, IDE in Tokyo, the Research School of Pacific Studies at the Australian National University in Canberra and Kyoto University.